From scale to sail, everyone loves a day on the water. 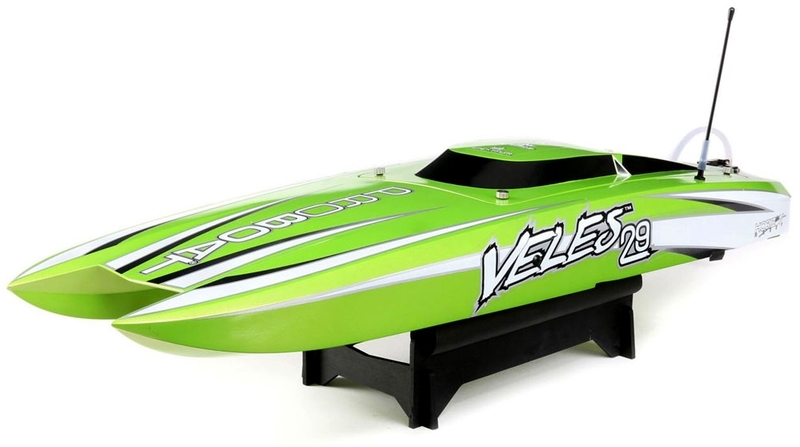 Spice up your trips up north with an R/C boat from ProBoat! They offer a great selection of race, scale, and sailboats — some we stock, others we can order, but either way, you can save up to $30 off on ProBoat models during the Wake Your Summer event! Now, through May 31st, 2018, stop in and save. We already have the coupons, so the savings are instant. Check out the savings tiers below, and stop in soon! The Pro Boat Recoil 17 will be available sometime in March for $169.99. Pre-order yours today! Pro Boat (a Horizon Hobby brand) announced a rebranding this morning, featuring a revised logo and slogan. "The new logo features two nautical flags that represent the letters R and C for 'radio control'. The tagline 'Wake Your World' speaks to the idea that Pro Boat models bring excitement, adventure and escape into their owners’ lives," said Horizon in an email. Pro Boat Marketing Manager, Derek Wagner, weighed in on the changes: "Working hand-in-hand with our product development and creative teams, everything the brand represents has been looked at under a microscope and entirely revamped. Strategically, this is the best way to support our position as the global leader in radio control boating."